We have been working on an improved Social Review directory, where you can easily search for the reviews that you want. Simply enter the domain name of the program you want to research and read the reviews. If you do not have a specific program in mind but only want to look for something that works, you can do a search by category. We have manually categorized the reviews based on the niche they are in. For example, if you are looking for a marketing system to promote your business, simply click the ‘Marketing System’ category. You will see all the reviewed programs and their ratings. We ditched the old table-style Featured Review and replace it with a cool (I thought it is cool) box as shown below. These featured reviews will be shown in the homepage of the Social Review directory as well as the Members Dashboard. Whose reviews will be featured? Pro Members’ Reviews with a score of 4 and above will be featured. What is ‘score’? How does it work? Reviews are given a score from 1 to 5. We rate reviews based on the insights they provide and how recent they are updated. This means a well written review may get a high score initially, but will lose its score over time until they are updated again. We create this system to ensure that featured reviews are insightful and recent. How will I know if my review is featured? If your review is featured, it will say ‘Featured‘ next to the Score of the review (see the arrow below). If you have a review that is featured, I suggest that you keep on updating the review at least once every two months. If you have a review that is not featured, i.e. the score is less than 4, you can improve the score by updating your experience with the program. The more personal experiences you share (both good and bad), the better the score. We believe that Social Review has a lot of potential. We are already seeing it ranking well in many keywords in Google. Search Engine traffic has been growing consistently. As you know, we rotate your affiliate link if you submit a review. It’s a great way to get signups to the programs/services that you believe in. If you haven’t submitted a review, please do so. If not, you are missing out a lot of good leads, especially after all the improvements that we’ve done. But please do not hastily submit brief and useless reviews, or standard reviews copied from somewhere else. They will be rejected sooner or later. Unlike an ad, the lifespan of a review is forever. It’s worth your time to write a good review and reap lifelong benefits. Thanks for constantly improving LeadsLeap! Browsing and finding programs, that we need more info about, is really easy now! Social review is looking even better now. Nice update! I have found the reviews on LeadsLeap to be super effective. I did a review of a program that I gave a low rating to, because I felt it was not that good. I have seen several referrals from that review and even commissions. All together, I’ve had several commissions from 5 reviews so far. It’s similar to writing reviews on a blog, a set it and forget it kind of traffic and signups. Glad to see more features added to the most powerful review platform I have yet to use. Looking forward to writing reviews on anything I find useful or not. Well said, Jaye! Yes, write a review on anything you have used, whether it is useful or not. That’s the whole purpose of the Social Review. Thanks for the wonderful testimonial too! Yeah.. i’m agree with you. Leadsleap thank u for update!! I really appreciate the consistent improvements to LeadsLeap. The new review directory is awesome. I will definitely be updated my reviews, and I have a few more to write as well. Thanks for your service Ken. I think that this new social review directory is going to be a great asset to all members of Leadsleap. We can review a web site that we are interested in and see if it worth joining to make an income from. I know that i will be using this directory even if i have already joined the programs. This will be a great help to me. Nice one….This review directory has a great collection of information about the internet tools, software, and services. These social reviews are very helpful for users to understand different programs with their pros and cons before using or buying it. Thanks for updating such a valuable feature on LeadsLeap. Tbh it’s good change. Social reviews are always good to me! Thank you for this awesome information. Social reviews are always good to me! great and efficient post thanks you so much for sharing a new social review directory. Thank you for the social review directory, it is a useful way to read about various programs especially from other marketers, then we can make an educated decision about joining them. Much needed, and I am liking all the improvements here on Leadsleap. The reviews are in trend so the social reviews directory is a very good concept. Super Cool… still looking for an insurance category one. Hoooo great …Thanks for sharing this new directory. Nice update! 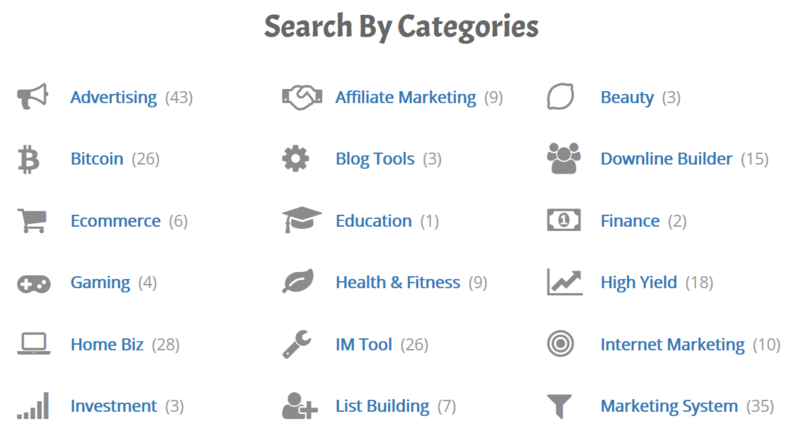 , its really has a lot of potential for growing Traffic and finally thanks for sharing this new directory.